Classic Showcase is a recognized automobile appraiser for classic vehicles. Appraisals are generally acquired for classic vehicle financing, insurance purposes and resale values. Due to the amount of time and quality that are put into each appraisal, all appraisals are scheduled and completed by appointment only. No exceptions. 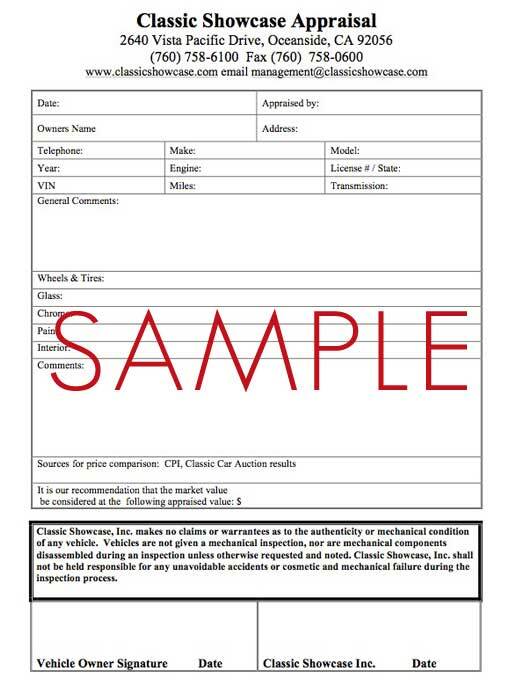 Classic Showcase offers two different appraisal forms. 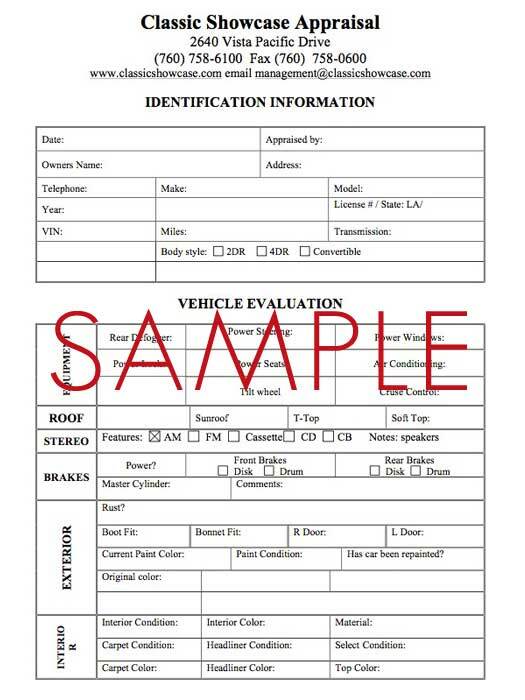 The first form is a standard, one page, basic form, which costs $425.00. The second is a comprehensive appraisal that consists of two or more pages and includes a set of photographs. The cost is $575.00.